GOOD JOB! – Page 2 – This site is for anyone who wants to say "thanks" or "good job" to any one else. You don’t have to give names, if you would rather not. Just shout it out. Good Job beach towel !! Pillow, phone case and check out those socks! “They swam right toward the boat,” Tom said. “Then they started to circle the boat. 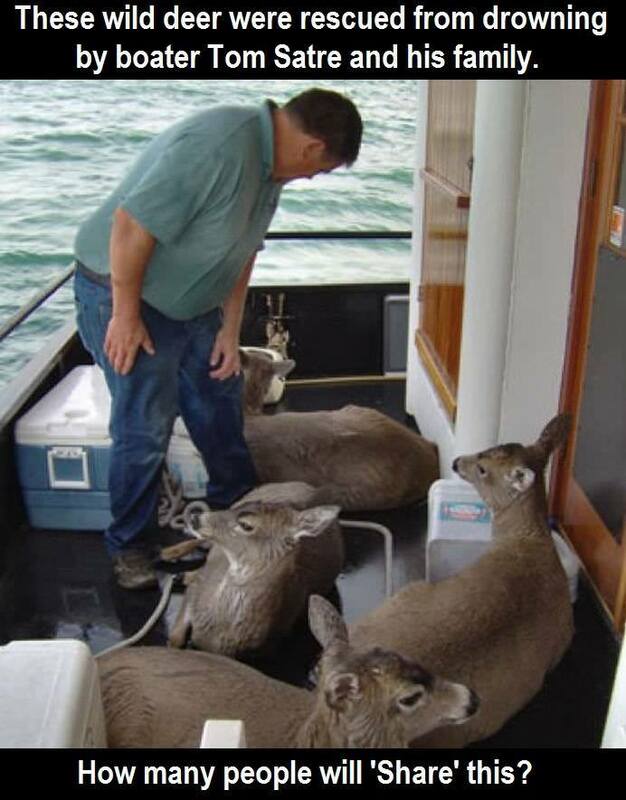 They were looking up like they needed help.” Tom knew they had to get the deer out of the water if they were to survive. Watch this very touching story of an unlikely pair of best friends! Shelia Fedrick has been a flight attendant for years. One day, she noticed a teenage girl flying with an older man. Though the man was well-dressed, the girl looked unkempt and disheveled. She noticed that whenever she asked the girl a question, it was the man who answered. He was controlling her. Shelia told the girl under her breath to go to the bathroom. She left a note on the mirror for her, and the girl’s written response was chilling. “She wrote back on the note and said ‘I need help,’” Shelia told NBC.Shelia told the pilot about the situation. When the plane landed, police were there to apprehend the creep. She left the girl, who was around 14 or 15 at the time, her phone number. The girl was so grateful that she kept it and called Shelia a few weeks later. It turns out that the teenager was a victim of human trafficking. She had been kidnapped and was being sold for sexual exploitation or slavery. Shelia’s instincts completely changed the course of this young woman’s life. Shelia decided to share her story in the wake of a new program that trains flight attendants to spot the signs of human trafficking. To learn about this life-saving new program, watch the video below. Please SHARE Shelia’s story to give her the hero’s recognition she deserves! New resident, Toby Bobcat, wanted to stop by and say hello to all of you! He is one of 15 new animals that have recently moved here from Colorado. The owner of the Colorado facility decided to sell the property, which meant over 100 exotic animals needed new homes. We are proud to have participated in such a large-scale project, and are overjoyed to be able to provide a safe, enriching home to these beautiful animals. As soon as computers are back up and running for all of us, we’ll have plenty of new photos to share. Stay tuned! Click here for a free subscription to Todd’s newsletter – a must-read for Conservatives! Todd Starnes is host of Fox News & Commentary, heard on hundreds of radio stations. His latest book is “The Deplorables’ Guide to Making America Great Again.” Follow Todd on Twitter @ToddStarnes and find him on Facebook.